On a regular basis, MECA hosts a rich array of free family events and parent education opportunities. Visit this page often to be up-to-date on our current happenings! Or, "Like" us on Facebook at Milton Early Childhood Alliance. Many thanks to the Milton Junior Woman's Club for their generous support of this parent education program! play group series with music, songs, and stories! Will your child be attending kindergarten in the fall? Do you wonder if your child is ready academically, socially, or emotionally? Would you like to learn what you can do to make the transition easier for your child and your family? Then, a free Parent Café is for you! This workshop is open to all families; your child will not need to attend Milton Public Schools. Please register by emailing cpcmecasld@verizon.net or calling 617-696-2262. Registration is not required, but is preferred so we may have an accurate count for handouts. Co-sponsored with Milton Public Schools and Cunningham Hall. Join us for a toddler and preschool language and literacy group for Moms/Dads/Grandparents AND their children ages 2 to 4 years old. email cpcmecasLd@verizon.net or call 617-696-2262.
contact information and verifying your registration. will be requested of you. play and make new friends! ages birth to six months old. This group is for parents/grandparents with their infants up to 6 months old. It will provide a wonderful opportunity to ask questions, share experiences, make new friends, and receive support. Playgroup will meet for one hour each week for a total of 8 weeks. Registration is required. Milton parents will be prioritized. Learn how to help young children be all that they can be by using a positive, strength-based approach. Join us for a fun, interactive learning experience on a working farm. Take a guided tour, learn how a farm works, enjoy a story and participate in a fun activity. For families with children 3 to 10 years old. Parents/caregivers are expected to stay and supervise their child at all times. Join us for one or for both - the stories will be different each session! Co-sponsored with Brookwood Community Farm and MA Dept. of Conservation and Recreation. The Milton Early Childhood Alliance has teamed up with Milton Public Schools and Milton Public Library to offer these terrific summer reading events for families and their children birth to six years old. These are not drop-off events. Join us for toe-tappin’, banjo rockin’, guitar groovin’ music, singing, and fun for all ages! Wear your bright yellow t-shirt and meet other children entering kindergarten in the fall. Bring a blanket, picnic, and your friends for an evening of fun! Registration is not required. If it looks like rain, call 617-696-2262 after 4:00 PM . We’ll leave a message if we’ve postponed the Concert until June 21st. Co-sponsored with the Town of Milton’s Parks and Recreation Dept. We have posted three very different Story Walks in town to celebrate the spring season. Take a self-guided walk outdoors while enjoying a children's story book posted along the way. Bring a picnic and dress for the weather. This is a free, rain or shine, outdoor event you can enjoy with your children anytime as listed above. Bring your baby, toddler, or preschooler to hear some stories by Ms. Sara and Ms. Jen! We’ll explain how this incredibly important reading program works and how we will help you and your child reach the goal. We will even help you sign-up on the spot. Everyone who signs up receives a prize! Ms. Jen and Ms. Sara will be there to read stories that will count toward your goal! Registration is not required; just show up for some reading and singing fun! Co-sponsored with Milton Public Library, the Friends of the Milton Public Library and the Milton Cultural Council. Then, a free Parent Café is for you! This workshop is open to all Milton families; your child will not need to attend Milton Public Schools. Join us for a fun, interactive learning experience on a working farm. Take a guided tour, learn how a farm works, search for critters that live on a farm, enjoy a story and participate in a fun activity. Three April School Vacation Week dates and locations are available. Co-sponsored with Brookwood Community Farm. Join us every other Friday in their Children's Story Hour Room from 10:00 AM to 12:00 PM. Come enjoy some terrific parent and child activities while learning about Science, Technology, Engineering, and Math. Activities are appropriate for children ages three to six years old WITH their parent, guardian or caregiver. April 13th: What Can You Build? April 27th: Does It Stick? May 11th: How Does It Go? June 8th: How Much Does it Weigh? June 22nd: What Do You See? Co-sponsored with Milton Public Library. Our Story Walks, located at the Trailside Museum and Houghton’s Pond, have returned! A new story will be posted every five to six weeks at the Trailside Museum from the beginning of April through the end of November. Seasonal stories will be posted at Houghton’s Pond. Stories can be enjoyed by children both young and old. Bring some friends, read a story, have a picnic, take a hike. Remember to dress for the weather as this is an outdoor experience. Registration is not required. Co-sponsored with the MA Audubon and the MA Dept. of Conservation and Recreation. We want to hear from you...please complete our Family Survey and you will be entered into a raffle to win a basket filled with children's books. Raffle will be drawn on February 28, 2018. Where: Tucker Elementary School, 187 Blue Hills Pkwy. An outdoor, rain or shine event. This is a terrific opportunity to participate in a unique literacy event and enjoy a wonderful children's book with your family and friends! Join us for a super fun, 2-part, nature workshop for children with their parents/guardians ages 3 to 5 years old. This series will include stories, songs, crafts, and nature exploration - all in the big, Blue Hills! Parent must stay with and supervise their child at all times. Registration is required by emailing cpcmecasld@verizon.net or by calling 617-696-2262. Watch Linda Glaser's book, It's Fall!, come alive as you and your child experience the book first hand on a working farm! Mass. Department of Conservation and Recreation. Join us, and the educators of Historic New England, for a unique literacy event for children ages 4-10 years old with their parents. Learn about the power of wind at the Eustis Estate, and explore the beautiful landscape while enjoying the StoryWalk, "I Face the Wind" by Vicki Cobb. Families will also be able to try fun wind-based experiments and activities and make pinwheels to take home! Join us for a free, interactive workshop that will support parents, caregivers, and teachers when engaging in meaningful conversations about race and racial differences with young children. This workshop will be presented by Michelle Chalmers, author of "The Skin on My Chin" and is designed to support children in understanding human diversity. Co-sponsored by Learning Circle Preschool and Curry College Education Dept. We have posted two very different Story Walks in town to celebrate the fall season. Take a self-guided walk outdoors while enjoying a children's story book posted along the way. Bring a picnic and dress for the weather. This is a free, rain or shine, outdoor event you can enjoy with your children anytime as listed above. Watch Janet Stevens' book, Tops and Bottoms, come alive as you and your child experience the book first hand on a working farm! singing and fun for all ages! We have posted two very different Story Walks in town to celebrate National Week of the Young Child and the Commonwealth's Brain Building in Progress month. Take a self-guided walk outdoors while enjoying a children's story book posted along the way. Bring a picnic and dress for the weather. This is a free, rain or shine, outdoor event you can enjoy with your children anytime as listed above. Will your child be attending kindergarten in the fall? Do you wonder if your child is ready academically, socially, or emotionally? Would you like to learn what you can do to make the transition easier for your child and your family? Then, one of our free Parent Cafés is for you! Just choose from one of the two dates available, register (see below), and attend. This parent workshop is open to all Milton families; your child will not need to attend Milton Public Schools. Parent Café - Getting Ready for Kindergarten! Please register by emailing cpcmecasld@verizon.net or by calling 617-696-2262 with your name, the session you plan to attend, and a contact phone number. We will confirm your registration with a reply email or phone call. Child care will NOT be available for these events. This group is for mothers/fathers/grandparents with their infants up to 6 months old. It will be led by a professional facilitator and will provide a wonderful opportunity for parents to learn play techniques and baby exercises, participate in open discussions in a supportive environment, learn what to expect and next steps, and receive valuable resources and information. RE-SCHEDULED TO WEDNESDAY, APRIL 5 AND SATURDAY, APRIL 8!! -The Saturday morning session is all about play - so bring your child(ren)! This is a terrific opportunity to participate in a unique literacy event and enjoy a wonderful children's book with your family and friends. Join us as Susan Marx and Barbara Kasok, authors of the book, Help Me Get Ready to Read, guide parents, grandparents, caregivers, and early childhood professionals on how best to read aloud to children during their first five years. Watch Lois Elhert's book, Growing Vegetable Soup, come alive as you and your child experience the book first hand on a working farm! The Milton Early Childhood Alliance has teamed up with Milton Public Schools and Milton Public Library to offer these summer reading events for families and their children birth to six years old. Will your child be attending kindergarten in the fall? Do you wonder if your child is ready academically, socially, or emotionally? Would you like to learn what you can do to make the transition easier for your child and your family? Then, one of our free Parent Cafés is for you! Just choose from one of the three dates available, register (see below), and attend. This parent workshop is open to all Milton families; your child will not need to attend Milton Public Schools. We have plastered the town with a unique family literacy event!! We have posted three very different Story Walks around town in celebration of National Week of the Young Child and the Commonwealth's Brain Building in Progress month. Take a self-guided walk outdoors while enjoying a children's story book posted along the way. Bring a picnic and dress for the weather. This is a free, rain or shine, outdoor event you can enjoy with your children anytime as listed above. Where: Brookwood Farm, 11 Blue Hill River Rd. An free, outdoor, rain or shine event. This is a terrific opportunity to participate in a unique literacy event and enjoy a wonderful children's book with your family and friends, take a pleasant walk, read a children's book, see the sugar buckets on the maple trees, look for the clear sap coming from the trees, and listen for the dripping of the sap into the buckets. Fun activities focusing on healthy food choices, where food comes from, investigating the science of familiar vegetables, and planting are planned as part of National Food Day. Stories, gardening, arts, and science activities will be included as well as scheduled walks to Brookwood Farm (walks will be weather permitting). Join Maria Trozzi, M.Ed., a nationally noted speaker and author, for an interactive evening exploring the typical and not-so-typical speed bumps that children and adolescents encounter growing up in 2015.
a nationally prominent child care specialist and author. A New Book Has Been Posted for the Fall!! This is an outdoor, rain or shine event. Has returned with NEW books for the Summer!! terrific children's book while enjoying a healthy walk and some fresh air. Has returned with a NEW book for the Spring!! Note: Change in dates and ages!! Is your child getting ready to go to Kindergarten? SPACE IS LIMITED - SO PLEASE REGISTER EARLY! This is a terrific opportunity to participate in a unique literacy event and enjoy a wonderful children's book while getting some fresh air. healthy walk and some fresh air. Please thank our sponsors for their support of Milton's youngest school children! The Milton Early Childhood Alliance has teamed with Milton Public Schools and Milton Public Library to offer these summer reading events for preschoolers. Postponed to June 12th due to rain!! Am I too strict with my child? Am I too lenient? Is this fight worth fighting? Why are my children so different? Why is one always happy and the other always irritable? Will it always be this way or can they change? These questions and more will be answered! This group is for mothers/fathers/caregivers with their infants up to 6 months old. It will be led by a professional facilitator and will provide a wonderful opportunity for parents to learn play techniques and baby exercises, participate in open discussions in a supportive environment, learn what to expect and next steps, and receive valuable resources and information. Reservations must be made through MECA no later than Friday, April 18th. 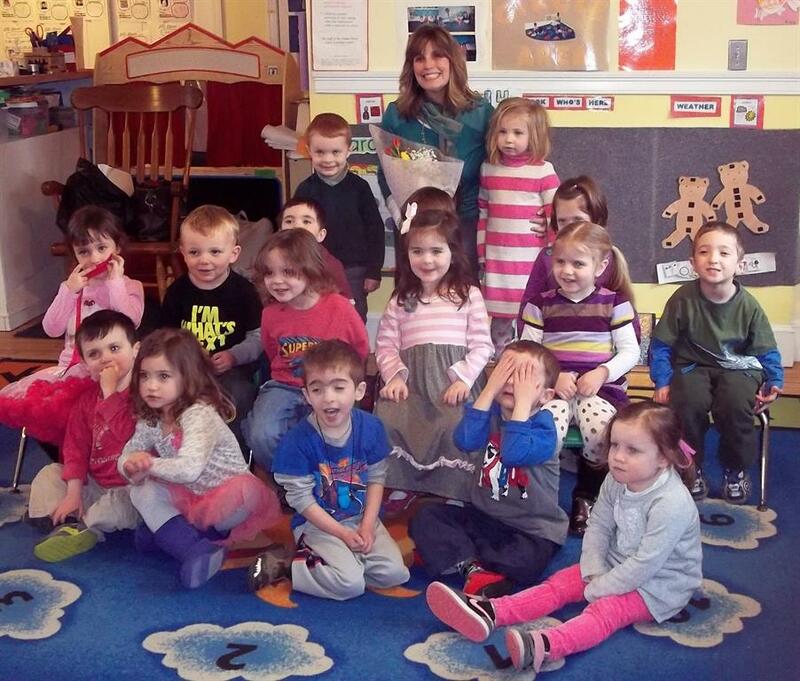 Please make checks payable to Milton Early Childhood Alliance and mail to 495 Canton Ave., Milton, MA 02186. Please call 617-696-2262 with questions. Do you second guess your parenting decisions? Are you getting conflicting parenting advice from others? Are your children no longer responding to what worked in the past? Then, this parent workshop is for you! parent your children with confidence! This is an outdoor, rain or shine, FREE event. Note: This is an outdoor event and can be enjoyed during the light of day. Please dress for the weather. for Fall, 2014 has begun! Parents with their infants are welcome as well! Brought to you in collaboration with Learning Circle Preschool. This is a week long, outdoor, rain or shine, FREE event. These are the workshops we have presented in the past. Please look for them again in the future! That Crazy Time of Day! If you^re interested in learning about parenting but can^t get out of the house, try this link to PARENTINGONLINE.ORG This web-site is run by Parents Encouraging Parents (PEP), which is a non-profit organization consisting of parents and professionals concerned about the quality of family life. They provide FREE online parenting classes ranging from the techniques of building love and showing respect to your children to dealing with the strong-willed or out-of-control kids. Their discussions also cover such topics as: joint custody, divorce, separation, stepparenting, stepchildren, visitation, addiction, alcohol and drug abuse.